September 23, 2014 - It is, by all accounts, "the world's biggest equestrian statue" — so big that it's meant to be seen from a distance. Standing next to this rearing Andalusian stallion — mounted by a Spanish conquistador — can be intimidating, not to mention illegal. You can get close to it as you drive past the entrance of El Paso International Airport or if you pull in to a small short-term parking lot reserved for making quick cellphone calls. But you are not supposed to get out of your car. Signs warn you that the "driver must remain with vehicle." They don't say anything about passengers, but (even though the pedestal is 8 feet tall) you get the feeling that authorities don't want people to get too close to this statue. But why? Could it be because they don't want you to see that the horseback rider is not identified? Or could it be because everyone knows the name of the rider and some people would want to deface his image — maybe even cut off one of his feet? 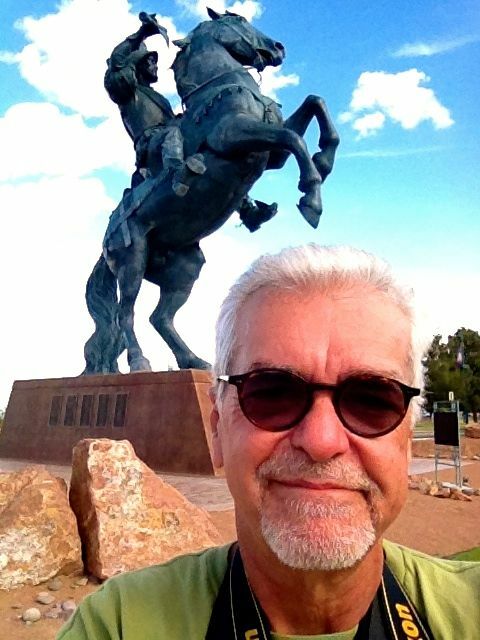 Such is the love-hate relationship the people of the Southwest still have with Don Juan de Oñate, the 16th- and 17th-century Spanish conquistador who was either "the great colonizer" of New Mexico or the great butcher of Native Americans — depending on the perspective from which he is viewed in the 21st century. Everyone knows that Oñate is the rider. 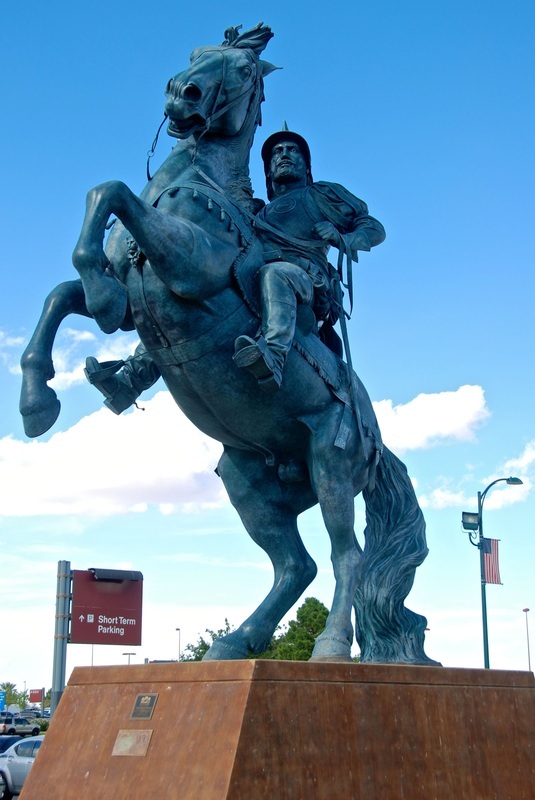 The city spent nearly a decade telling everyone it was building a $2 million statue of the conquistador who led an expedition that crossed the Rio Grande in 1598, celebrated one of our first Thanksgivings in the El Paso area and established Spanish settlements in New Mexico, where he became the first colonial governor. He led the first wave of emigrants to come north from New Spain to what is now New Mexico. The statue was supposed to mark a major gateway of American immigration and honor the contributions Hispanics made to building the American Southwest — just as the Statue of Liberty marks such a gateway in New York and recognizes the contributions of our European immigrants. 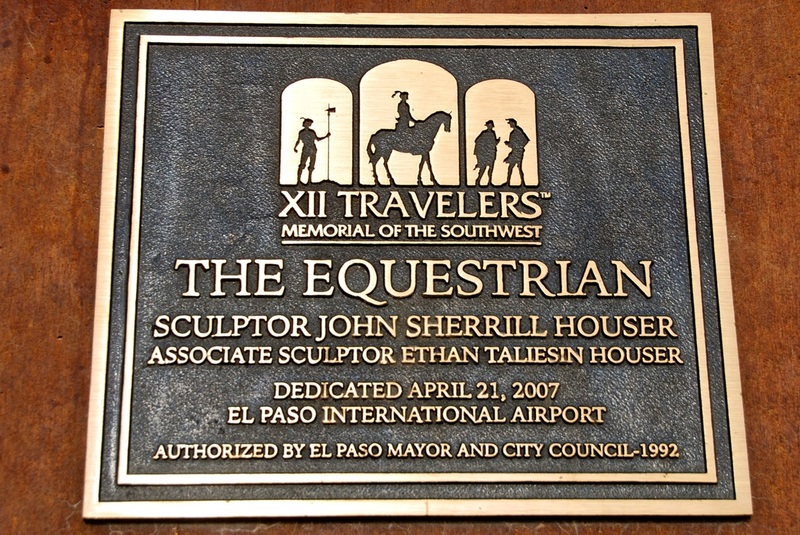 But by the time the colossal monument was finished and installed in October 2006, the El Paso City Council already had caved to protests from Native Americans. While Oñate's sculpture already was taking form, they had agreed — quite cowardly — to drop Oñate's name from the statue and call it by a generic name that says nothing about our Hispanic heritage and totally defeats the statue's original mission. Really! I'm not kidding! 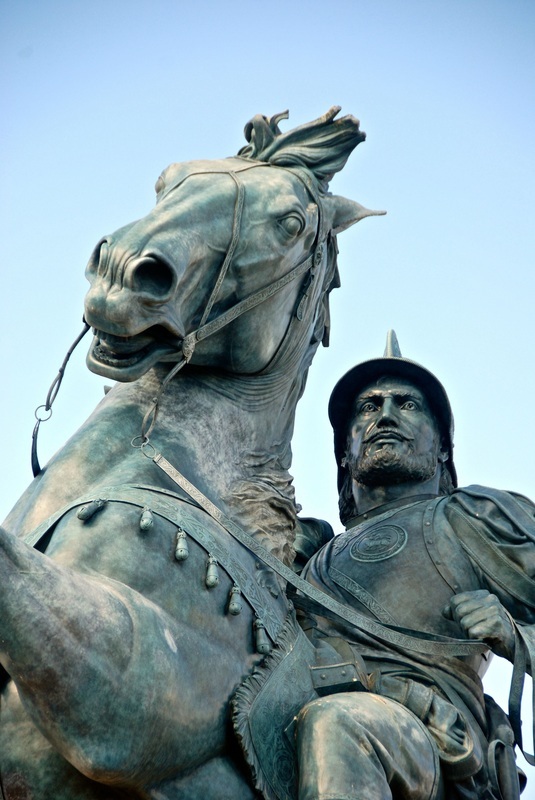 The world's biggest statue of a Spanish conquistador is simply called "The Equestrian." Even if you get out of your car — as I did, to shoot a few hurried photos — you are not going to find Oñate's name anywhere. And you won't find a bigger example of hidden Hispanic heritage! 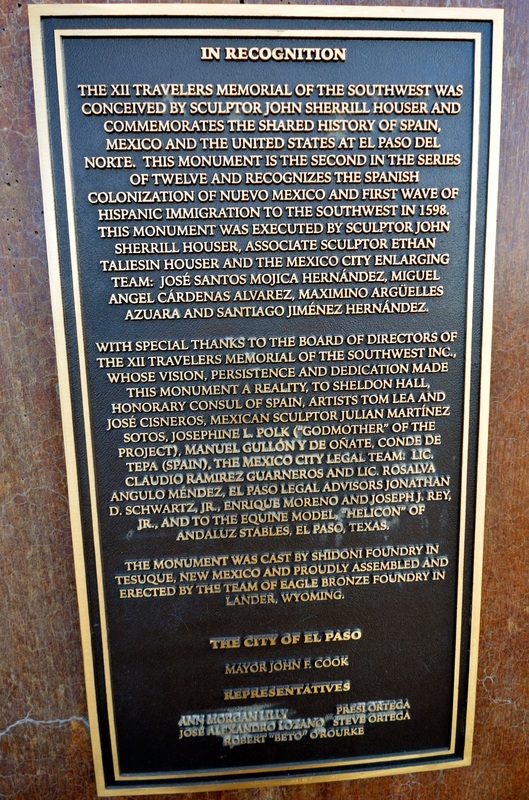 Mind you, on the pedestal, a hard-to-reach plaque (impossible to read if you have to stay in your car) notes that the statue "commemorates the shared history of Spain, Mexico and the United States at El Paso del Norte" and "recognizes the Spanish colonization of Nuevo Mexico and first wave of Hispanic immigration to the Southwest in 1598." But you need binoculars to read it. "The Equestrian"? Why not just call it "A Guy on a Horse"? What good is a statue if it celebrates nothing? The man depicted on that statue was not an imaginary character. This was a real person who, for better or worse, changed the course of our history and made a tremendous impact on the culture of the Southwest. If you are going to build a gigantic statue of him, you can't hide who he was by simply omitting his name. It's absurd. Granted, perhaps Oñate was not the best model to represent the people who colonized the Southwest. 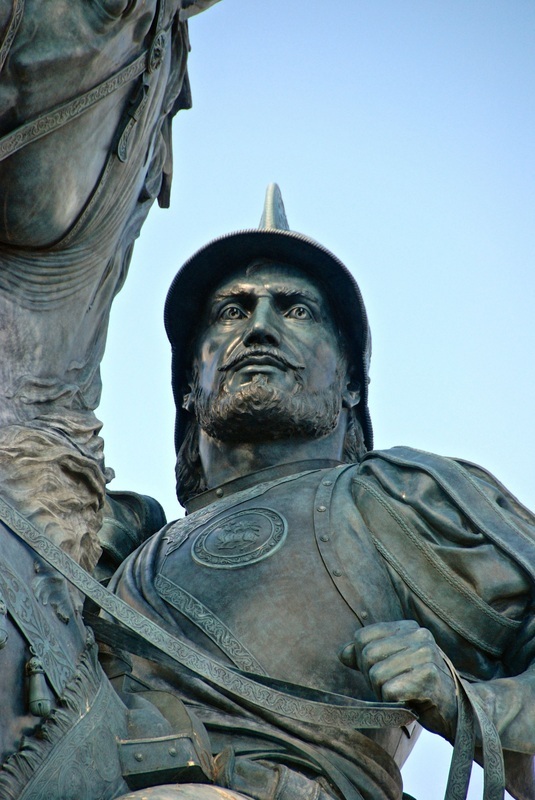 Of all the Spanish conquistadors who came to North America, Oñate was one of a few who ordered the kind of atrocities against natives that had been more prevalent in Mexico and South America. In his quest to colonize new territory, he was brutal to Native Americans — killing, enslaving and amputating the feet of those who opposed him. Even Spanish authorities eventually tried and convicted Oñate of cruelty to both natives and colonists and banished him from New Mexico in 1606, two years before British colonists settled Jamestown and 14 years before the Mayflower reached Plymouth Rock. 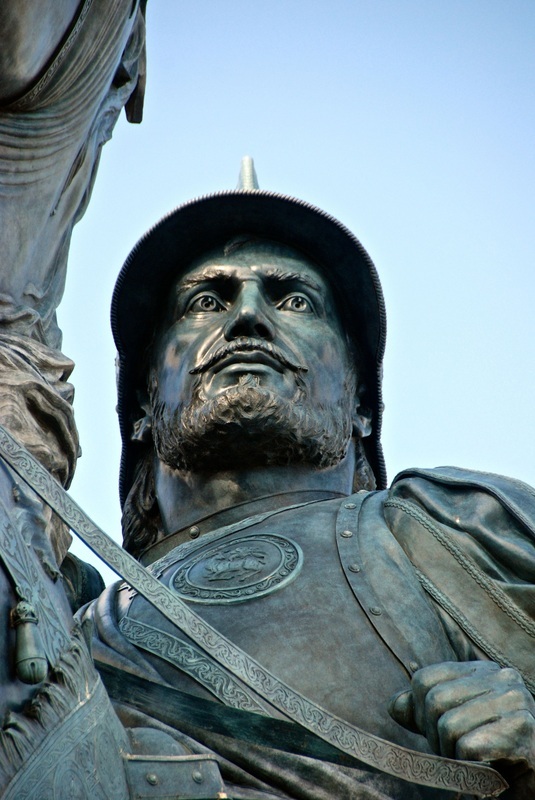 Although he died and was buried in Spain in 1626 and although he has often been called "the last conquistador," Oñate was born in New Spain, in what is now the city of Zacatecas, Mexico, and the land he conquered for Spain was not too far from his birthplace. Yet he is still seen as a foreign invader by those who argue that his atrocities outweigh his contributions to the Southwest. They say that even by 17th-century standards, Oñate was too brutal to be recognized in the 21st century. But there are others who argue that denying his contributions is denying our Hispanic history and heritage. Some say that Native Americans were just as brutal as Oñate and that his aggression was mostly in retaliation to attacks from Native Americans, especially one particular skirmish in Acoma Pueblo, where 11 colonists were killed, including Oñate's nephew. Some say that it was a legitimate war in which both sides committed massacres and that judging them by 21st-century moral standards is unfair. 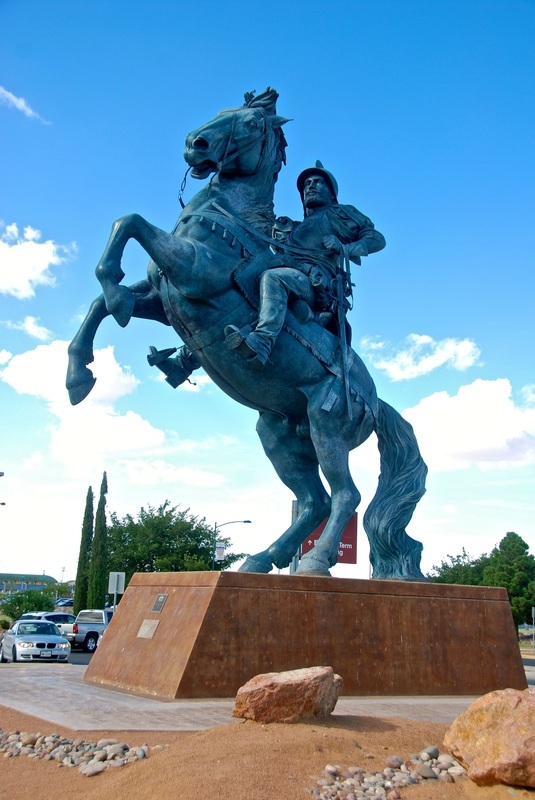 Nevertheless, instead of Oñate, couldn't El Paso have built a monument to the many Spanish missionaries and colonizers who got along with the natives? Or maybe even one of the martyr priests who were killed by the natives? Why did it take the Texas city almost 10 years to realize it was building a controversy even bigger than a 36-foot statue? 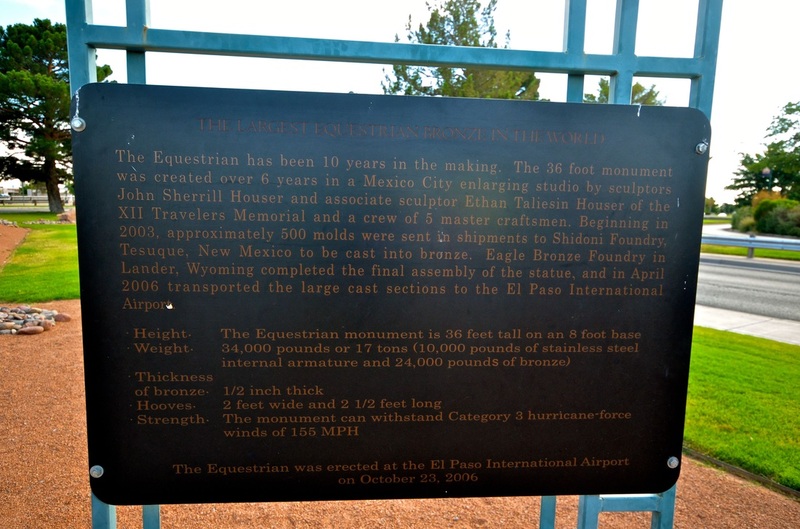 Some background: First proposed in the mid-1990s by renowned American sculptor John Sherrill Houser — commissioned by El Paso in 1997 and built in Houser's Mexico City warehouse — the statue took nearly a decade to complete. By the time it was installed in 2006 and officially dedicated in 2007, it had become a huge controversy. Native American activists had intimidated local politicians — Hispanics in a predominantly Hispanic city — to accept "The Equestrian" as a "compromise." In 1998, while many Hispanic New Mexicans celebrated the 400th anniversary of Oñate's arrival, another Oñate statue in northern New Mexico had one of its feet amputated by someone who left a note claiming that "fair is fair." You don't see anyone defacing the statues of some of our Founding Fathers who exploited slaves, for example, because most of us understand that you can't judge 17th- and 18th-century leaders by 21st-century moral standards. But that's how strongly some people still feel about Oñate and how the City Council was pressured to compromise. Of course, instead of a compromise, it was a charade. On both sides, many people remained angry. Instead of initially selecting a historical figure who could have united the Native American and Hispanic people of the Southwest, the city reopened wounds that should have healed four centuries ago. 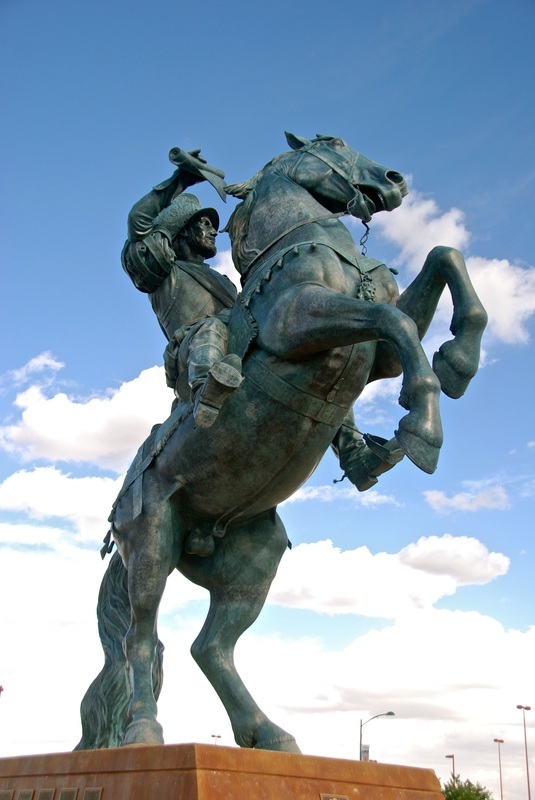 Eventually, the controversy over the name of the statue became the subject of a 2008 PBS documentary, called "The Last Conquistador." 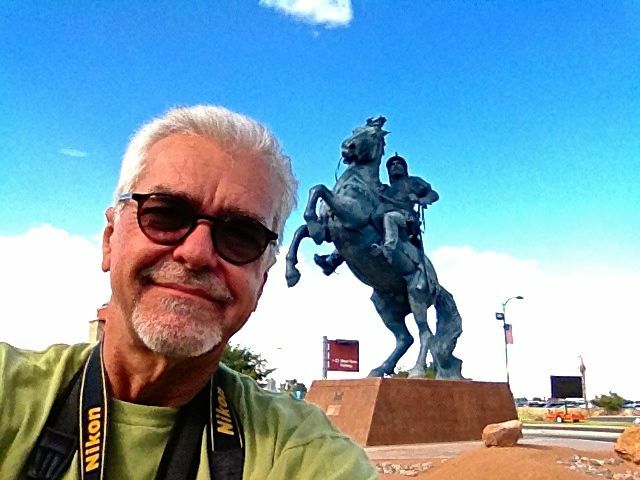 And now the guy on a horse at the entrance of El Paso International Airport stands as a symbol of friction between two communities — exactly the opposite of what it was supposed to accomplish. 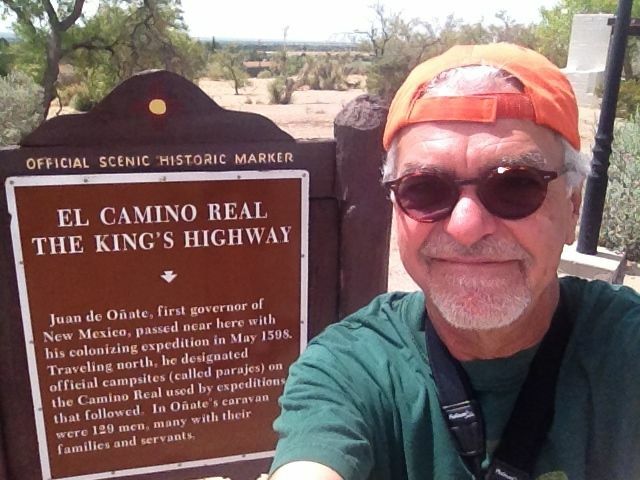 Next week, the Great Hispanic American History Tour travels to the 19th century to explore a river that altered the U.S.-Mexico border and caused friction that was not settled until 1963.